Our Athletes, Official Fans, Volunteers and Sponsors are the best. The Huntsman World Senior Games have experienced steady and consistent growth over the past 30 years through the grassroots efforts of those who love the Games. Personal invitations have been a hallmark of our success. If you have participated in the Games, and been changed by the experience, why not become an Official Ambassador? Ambassadors are Athletes, Official Fans or Volunteers who promote the Games regularly and officially. Everyone can be an Official Ambassador. 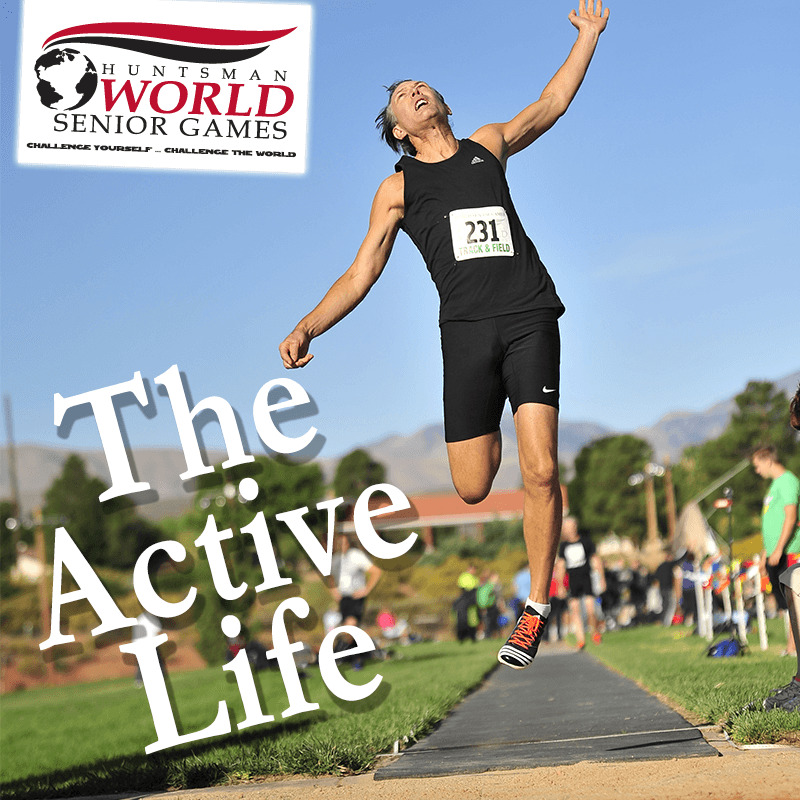 Simply check the Ambassador box as you register for the Games, or email Michelle at mgraves@seniorgames.net. We will send you a FREE Ambassador Kit in the mail full of tools that will help you spread the word about this awesome event. Inside the Kit you will find instructions on how to spread the word as well as brochures, posters, business cards, and our gift to you: an Official Ambassador Pin. Once you receive your Ambassador Kit, you can use these tools and help spread the word about the Games in your community, to your friends and at other events you attend. If you need more supplies or have any questions you can contact Michelle by email at mgraves@seniorgames.net. Helping us promote the Games makes a tremendous difference as you impact lives of individuals for the better. Help us achieve our mission to foster worldwide peace, health and friendship by becoming an Official Ambassador today. An easy way to promote the Huntsman World Senior Games is to talk about it with as many people as you can - both old friends and new acquaintances. Once you've let them know about it, leave them with a card so they can easily remember and find the website to register. You can download and print your own Huntsman World Senior Games Ambassador Business Cards today. Just click below, download the pdf file, type your name in the text box and then print off as many or as few as you'd like using Avery 8859 Business Card Paper. If you want to get the word out about the Huntsman World Senior Games, why not download and print a poster or two? With permission, you can post them in high traffic areas such as gyms, recreation centers, grocery stores or anywhere that people might pass by. We have several different options to choose from. Click on the link below, choose your favorite or favorites and go ahead and post-a-poster. A podcast is basically Netflix for radio-style or audio content. Using your smart phone or tablet, you can subscribe to podcasts on a myriad of topics and when a content provider or “podcaster” releases new content, you will be notified and you can easily access the new stuff and enjoy it anytime you’d like. As an ambassador, you can help us spread the word about the Huntsman World Senior Games by subscribing and helping us spread the word about the Active Life.